Find your new favourite skateboard after browsing Two Bare Feet’s immense collection of retro cruisers. You’ll be spoilt for choice with the wealth of colour options available; keep it simple with our classic designs and blend options, or stand out with our printed retro skateboards. 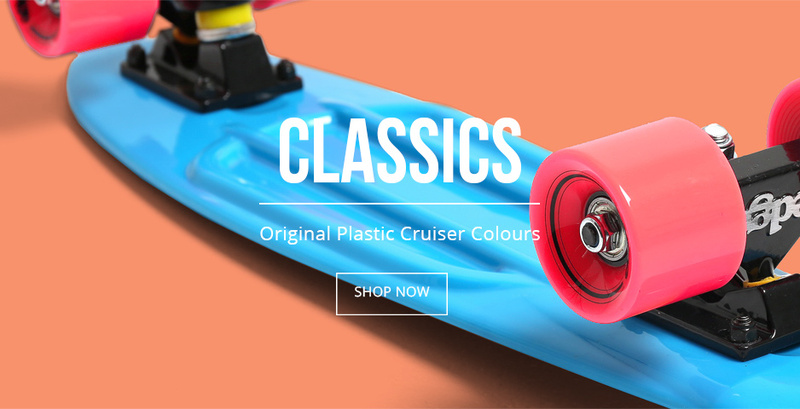 From refreshing pastel shades to our unique metallic cruisers, we offer the greatest selection of quality retro skateboards in the UK. If you’re looking for more individuality, why not build your own retro skateboard? 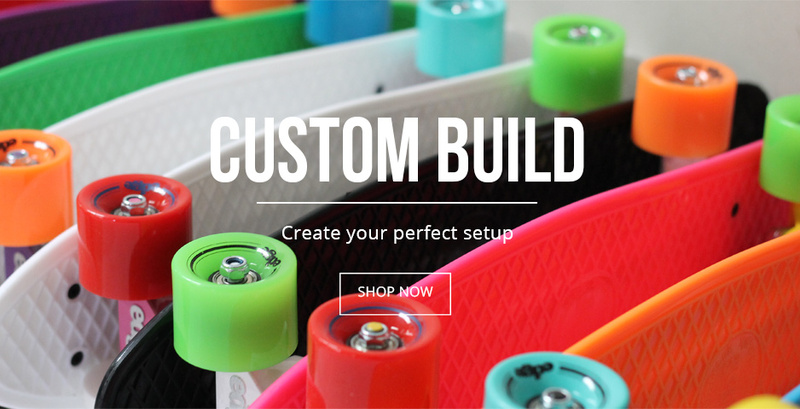 Choose a custom design with our complete set-up creator, which affords thousands of possible combinations. 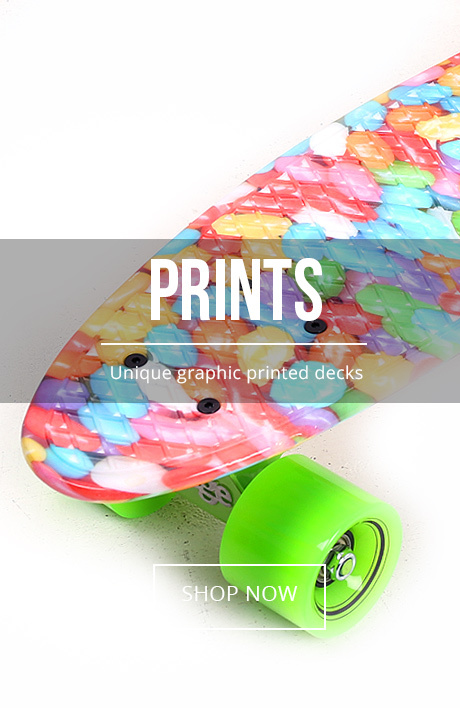 All you need to do is select the deck, trucks and wheels to suit you! Alternatively, revamp or repair your ride with our skateboard parts and accessories which are designed to improve your skateboarding experience. With a simple and stylish design, Two Bare Feet’s 22” Classic Edge Retro Skateboard is one of our bestselling products. Its slightly smaller size makes it both light, portable and well-suited to tight cornering and smooth cruising. Whilst ideal for beginners, there’s no reason why more experienced boarders may not also wish to put it through its paces. With a similar look and feel to our Classic Edge boards, our XL Retro Cruisers are engineered to be longer, wider and quicker. The 27" board is easier to ride if you have larger feet and is another great alternative for those who enjoy cruising culture. 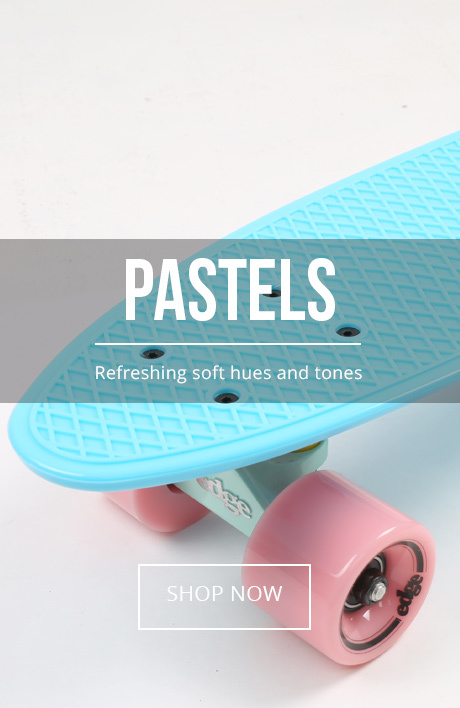 Inject some colour into your life and get ready for the warmer months with Two Bare Feet’s pastel skateboard collection. With candy coloured tones, these unique boards provide the perfect look for summer with their 22" x 6" pastel-coloured decks. If you’re struggling to pick a single colour for your board, take a look at our exclusive blends series. 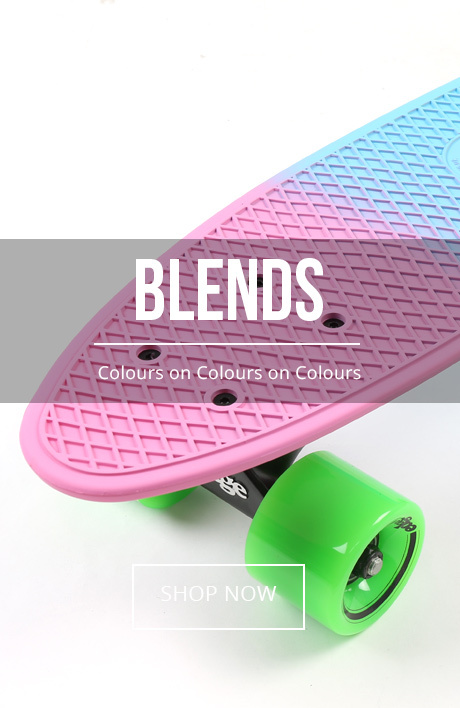 These boards offer blended multi-coloured decks with striking, fresh shades – perfect for adding a vibrant tinge of colour to your environment while cruising through the streets. Shine bright with our premium metallics selection. With a shimmering chrome finish on the deck, you’ll be sure to stand out from the rest. 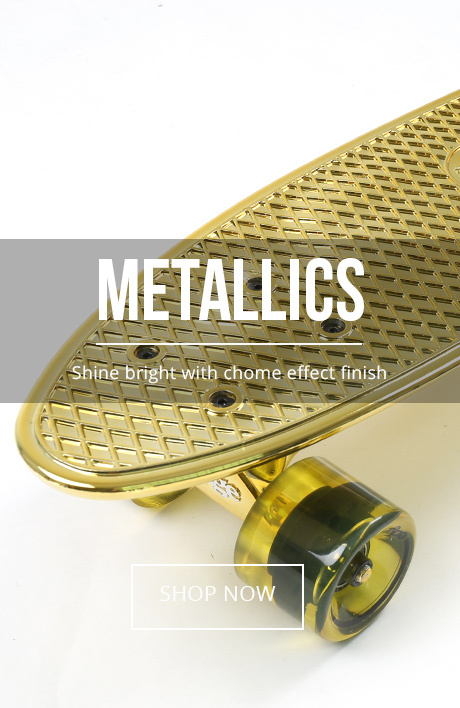 Paired with metallic trucks and semi-transparent wheels, these boards are a must for anyone who wants to add some bling to their retro ride. From jelly beans to safari patterns, Two Bare Feet’s printed retro skateboards feature an individually printed graphic on the deck’s underside. Combine this with a light, fun colour to match your bright personality! We’re certain you’ll be smitten with our creative retro cruisers. However, if this is not the case, why not customise your skateboard to truly reflect your personality? Choose from a huge selection of bespoke deck, wheel and truck colours to create your perfect, unique skateboard. If you wish, you can even select varying colours for each wheel with our premium custom cruiser skateboards. The decision’s yours to make. Whatever you choose, we’ll ensure your new ride is packaged securely and delivered to your door – that’s our hassle-free promise to you!